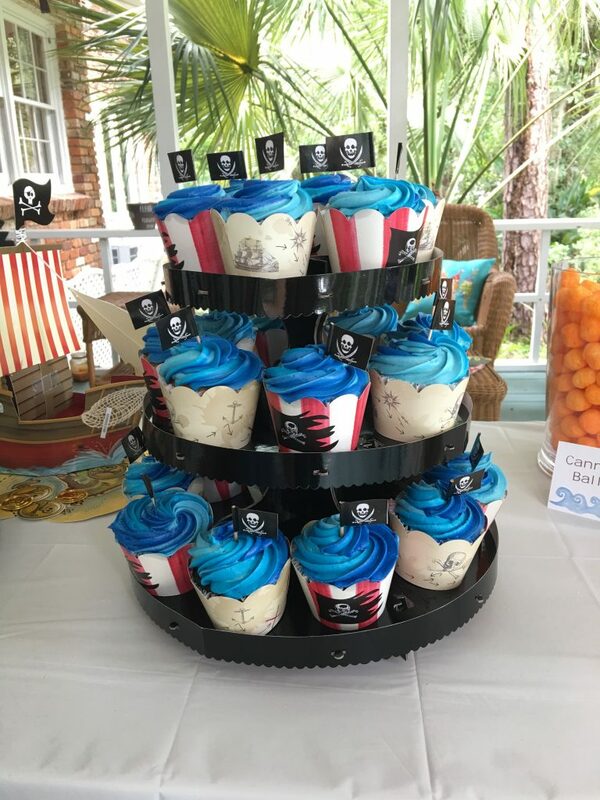 Throw your little buccaneer a fabulous Pirate Birthday Party! Check out these fun decoration ideas. 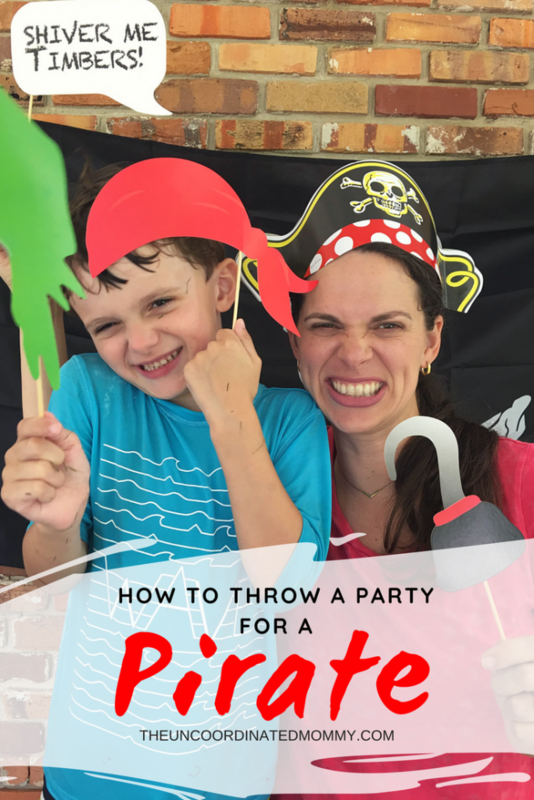 If you’re looking for ideas to throw a pirate party for your birthday boy, look no further! This party was super fun to put together and everyone had a blast! The food is simple but creative and almost everything was ordered from Amazon! These signs were just painted cardboard and so cute!! 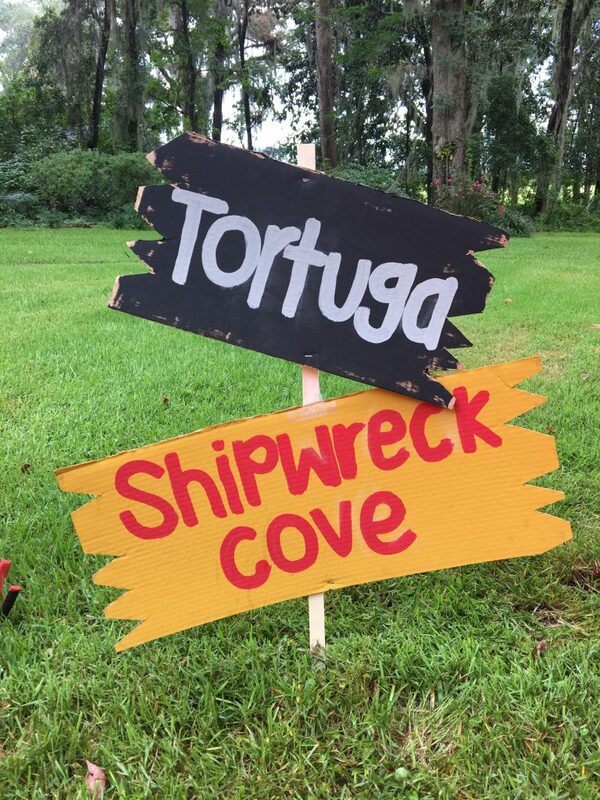 I was happy to help my sister throw this pirate party for my nephew this summer. She had some great ideas and grabbed all these cute decorations from Amazon. 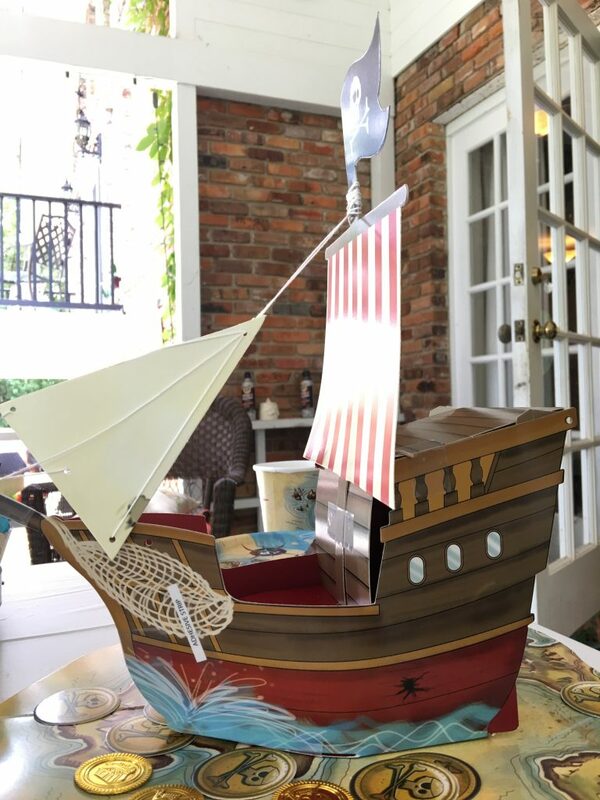 I especially loved this pirate ship paper centerpiece, it added so much character to the snacks table! These cupcakes are super easy to make. 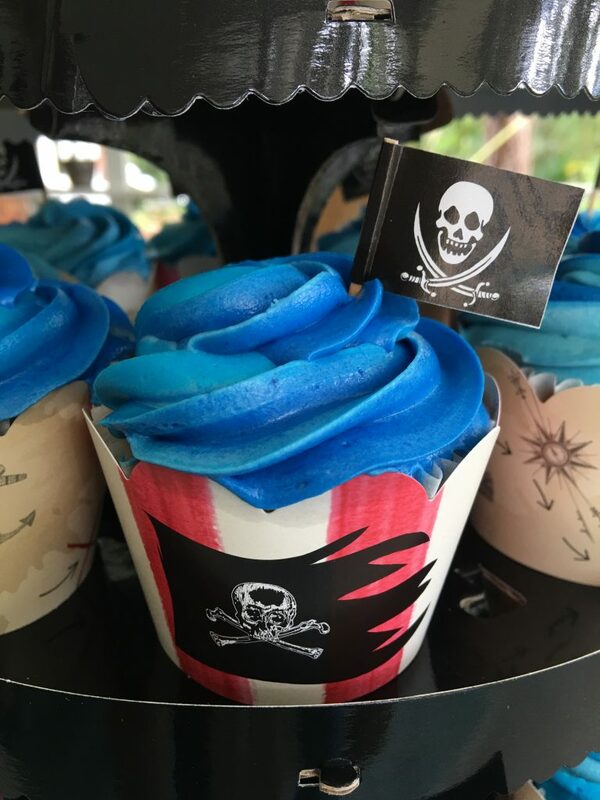 All you need to do is buy pirate cupcake liners, swirl on some blue frosting for the sea, and add a pirate cupcake topper to each one. Or you can just order the cupcakes from your local grocery store or bakery! 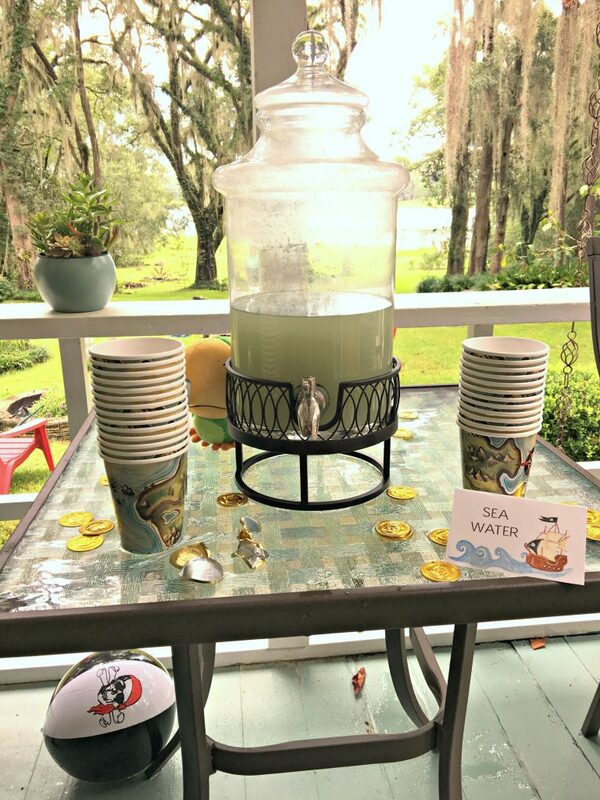 The seawater was just lemonade with a little blue dye! The kids loved it! Here’s a link to the pirate beach balls. 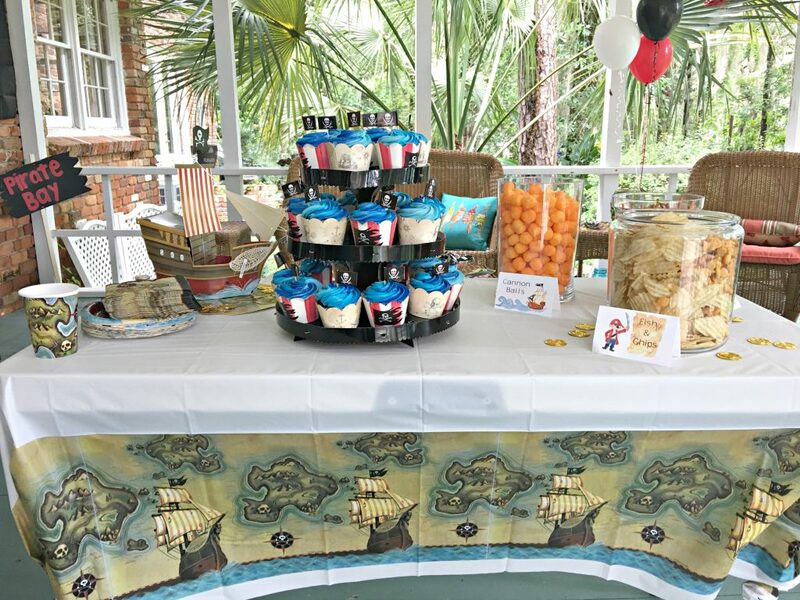 The “sea water”, “cannonballs”, “fish and chips” and “driftwood” all fit the pirate theme and were great snacks for people to help themselves throughout the festivities. 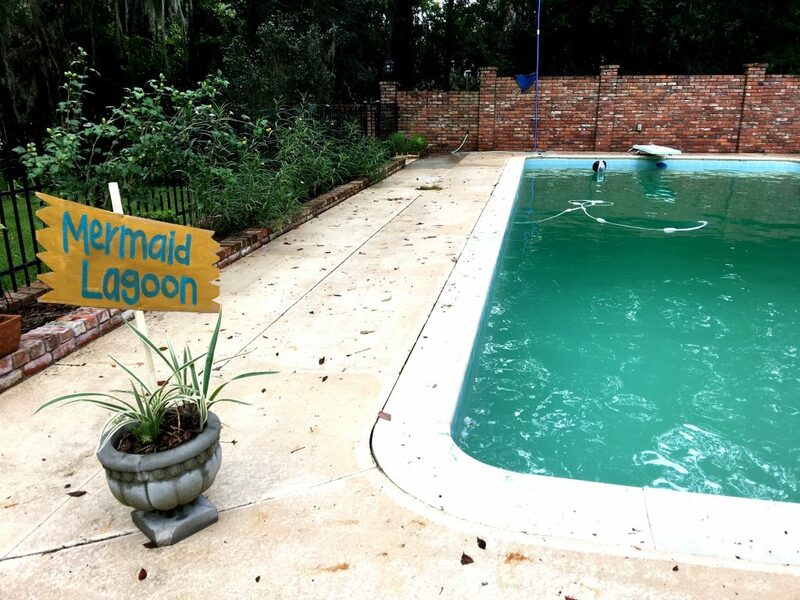 The “mermaid lagoon” was adorable and perfect for the pirate party theme! The “lagoon,” however, was unfortunately all too realistic. The pool was having some trouble so we had to ditch the pool party theme and grabbed a slip and slide instead. 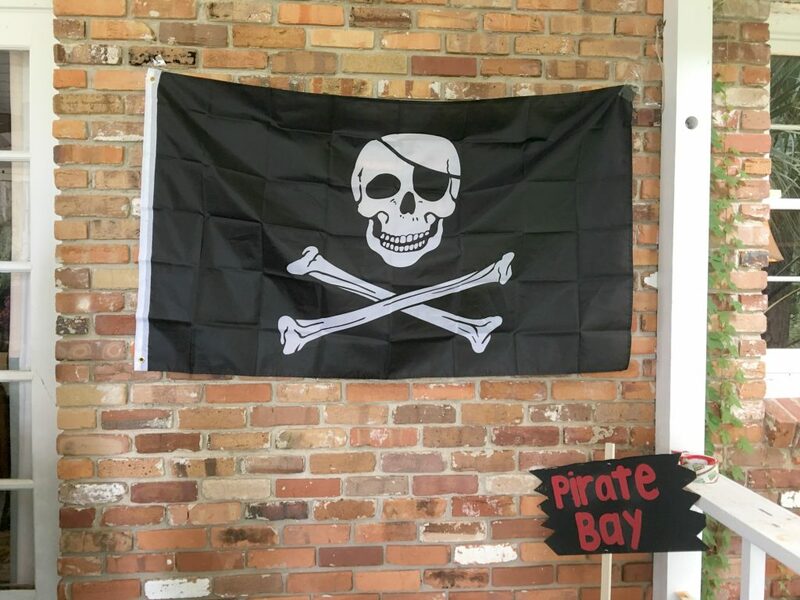 We hung this Jolly Roger flag for a makeshift photo booth. 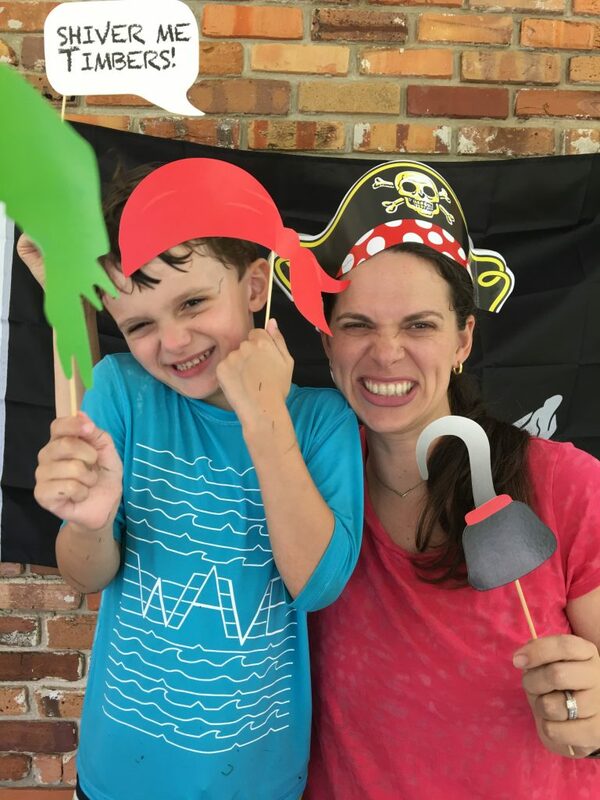 The kids had so much fun with the pirate photo props. And so did the big kids too! For more birthday parties ideas, check these out!